Medical Hospitals | Electric Signs MD VA DC | KERLEY ELECTRIC SIGNS, INC.
From directory boards and wayfinding signs to exterior signage, Kerley Signs has been manufacturing and installing medical and hospital signs for a diverse clientele. We take the same care in producing a sign for a small dental office that we do for a large facility. And, since all of our signs are custom made, matching colors and style is no problem. When dealing with the medical industry, signs can be seen as flourishing. From directory boards and signs which help you find your way around the office/building, to all exterior signage, Kerley Signs has been manufacturing and installing medical and hospital signs for a diverse clientèle population. We will work just as hard to help provide attractive and informative signs for the small town dentist office as we would for the large metropolitan area hospital complex. There are a few ideas behind these signs. For starters, in the case of the smaller practices, it helps possible patients acknowledge your existence. You want your signage to depict the overall professionalism of your practice as well as entice the prospect to inquire within. When your office is located in a building with numerous others it's important for the patient to be able to easily recognize your practice, as well as actually locating the correct office within the building. An articulate set of directions can go a long way in way of making patients' lives easier. When examining larger medical institutions, signs play a similar role, just on a much larger scale. 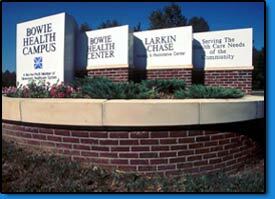 The first thing possible patients usually see is the signage associated with the medical center. Let Kerley Signs assist you by ensuring that you get the professional appearance required to ease at least some of the anxiety associated with Doctors offices in general. Some of these Medical Centers / Hospitals are enormous, and can be spread over many blocks within big cities. Getting around if you are unfamiliar with the facilities / city can prove to be a very daunting task. Signs assisting patients by separating the different buildings within a facility, as well as directing traffic for office locations and parking locations can prove to be very important. (i.e. E.R., Physical Rehabilitation, Children's Ward, Orthopedic specialties, etc). Entering these facilities can be overwhelming if you do not know where to go, electric signs reduce confusion and increase comfort. With the assistance of our custom manufactured signs and their available matching colors and styles, finding your way around the hospital has never been so easy. It's easy to see exactly how important signs can be in making the lives of all who enter your facility easier. Make life easy for yourselves and your patients by utilizing the Professional Services of Kerley Signs.